Tucker-Yocum, & Wilson Funeral Home is a family-owned and operated funeral home providing care, respect, and attention to the families of Georgetown, Scott County, and surrounding areas. We believe in the importance of treating everyone with respect and kindness, and we welcome all religious faiths and ethnic backgrounds. Since November 1924, the funeral home has been located in a historical house built in 1895 at 320 West Main Street in Georgetown, Kentucky. The funeral home has been owned by Harlan and Wanda Johnson Wilson since October 1, 1985, and in 1997 the current chapel was added by the Wilson family, increasing space and comfort for the families they serve. The funeral home is beautifully decorated and provides a warm home-like atmosphere. Our caring and professional staff is available to you and your family 24 hours every day to answer any questions you may have. We can help you with your pre-planning needs or help you plan a service that is both meaningful and affordable. Please feel free to stop by the funeral home, call, or email us anytime. 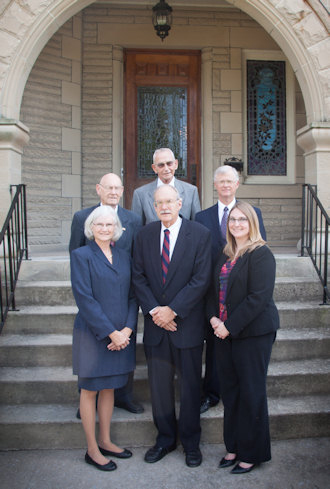 Tucker-Yocum & Wilson Funeral Home is based on the traditions built during over a century of helping the families of Georgetown, Scott County and the surrounding areas. More than tradition, our people are the heart of the funeral home. Please click the link below to meet our people.